Initially, when my disc arrived, and I watched the film, I refused to comment on it. Friends asked, and I didn’t know whether I liked it. I was afraid to say that I didn’t. I was afraid to say that I did. Either answer might not be honest. I put the disc away for six whole months. It sat on my shelf, daring me to watch again. When I did, I found an enjoyment, a meditation. A film that makes my heart race for all the right reasons. A film that is a constant exercise in letting go. If you enjoy subtext, broken paths, and questions that are asked outside of the narrative of a film, Upstream Color is for you. Much of the fun of Upstream Color is in challenging one’s own prejudice concerning film execution. In the locked-in formula taught by film school, script writing manuals, and personal experience, a film should be a ring broken in three pieces, with a beginning, a middle and an end. Each section should link to the next, in tone, theme and most importantly, reason. We must know how a character journeys from one place to another. Although the film does break the ring up into the three-act structure, it colors the pieces differently, and uses pictures to capture emotion over reason. 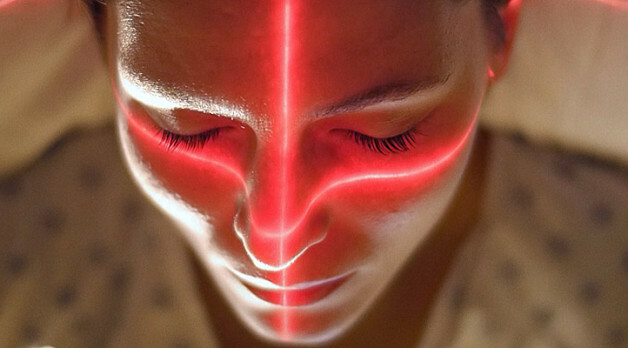 Upstream Color points at the why, rather than the how. It asks blatant existential questions about daily life: when two people meet, what connects them? Why? The overt subject of the plot is that there exists a type of worm with chemical effects inducing near full mind control. Who would use this worm? Why would they use it? Who would they use it upon? Act 0 pretends to answer the question. A group of boys use the worm and practice martial arts. Some other people take the worm in a pill without knowing it. They want more. In act one, our happy hero, Chris (Amy Seimetz- Wrist Cutters, The Killing (TV), The Off-Hours), appears to be the target of a high tech brain heist orchestrated around the mind controlling worm. She loses the the things she thinks are important in life. She is talked into emptying her bank account, taking out a home equity loan, and giving her valuables over to the thief. She discovers the worm infestation and fights it off. The second act sees the fallout. Chris is a changed person. She meets Jeff, a nice guy, for awkward and mutually enjoyable conversation. They are pulled closer until they collide physically and mentally. Beginning to share the same memories, even back through childhood, their separate lives form an entity. They figure out that they were subjected to an experiment. Throughout this act, we meet the Pig Farmer, who is moving pigs, the worms, and flowers, through a cycle of life. In an insanely dialog-free final act, the story is conveyed through actions and emotion alone, and even more questions are created. Although Chris and Jeff have discovered what was done to them, and have alerted other victims, what does that mean? Were the thief and the Pig Farmer jointly operating to support the work, or was the thief someone who incidentally discovered the organisms being maintained by the Pig Farmer? Once they come together at the farm, do they continue the work? Have they become a hive mind, or have they eliminated the organism’s danger. Whatever else he has done, The Pig Farmer was successful. He gave the people he encountered their lives back, freed them from modern societal machinations and, for 96 minutes, he can do that for you too. There are no special features on the blu-ray, but there is wonderful insight to be gained from the disc. There are clues to the puzzle of Upstream Color wrapped in the names of the characters and, most importantly, the titles of the chapters of the film. As the main characters become increasingly skittish, they cling to one another. Not understanding what has happened to them seems to have put them in fear of the world. Their thoughts and feelings begin to merge. They feel the same things, even when they’re a mile apart, and are controlled by the same powerful urges. Fear. Violence. Longing. And the only thing left is to cleave to one another. Mr. Carruth prefers not to explain the film, and so do I. But here writing a review, I have to give you something. Why are there Walden quotes littered through the film? As you watch with a mind that has let go, those Walden quotes become free association while Chris reads the words. They become scenes from the film, and notes about the plot, and thoughts of the characters. It becomes almost too much to explain, and then you just know that film was the only medium with which to tell this story. Experiencing it is an anaerobic bench press of film appreciation, replete with slow burn and endorphin-releasing tension reprieve.